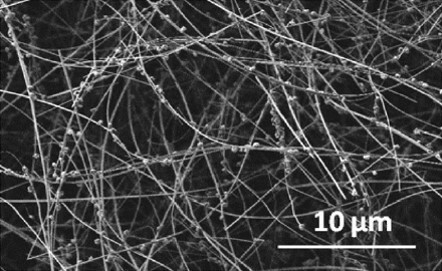 Branched Tin(IV) oxide nanowires (S. Mathur et al., J. Phys. Chem. C 2012, 116, 13835 – 13836. DOI: 10.1021/jp207376t). 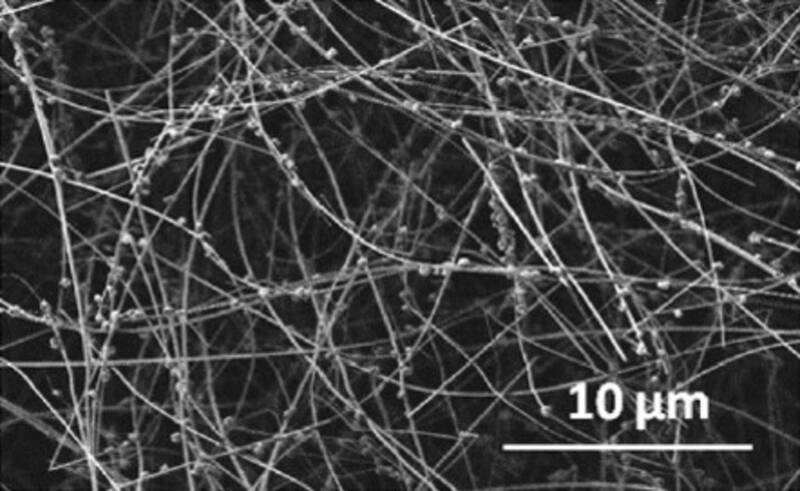 With CuO functionalized Tin(IV) oxide nanowires (S. Mathur et al., J. Mater. Chem. A, 2013,1, 11261-11268. DOI: 10.1039/C3TA11867C). Schematics of charge transfer in a) 2D planar semiconductor electrode b) 1D nanowires electrode. Metal oxides in their bulk form are not very effective for example as photocatalysts due to either large bandgaps or high recombination rates of the generated charge carriers that plummet the over-all efficiency. Nanostructuring of metal oxides is a meaningful approach in enhancing the surface properties such as large active surface area, high density of defects and channelled pathways for the charge carriers. Due to the increase in the lifetime of the electron-hole pairs, efficient charge separation and transportation of the charge carriers is witnessed, therefore improving the electrical conductivity as well. In the case of one dimensional (1D) nanostructures such as nano-fibres, -wires, -belts, -rods and –tubes, the distance at any point in the structure to the surface approximates the sum of the depletion width and diffusion length. This ensures an effective transport of the charge carriers before recombination can set in, when compared to planar 2D devices (e.g. S. Mathur, Nano Energy, 2, 2013, 304-313.). The innate property of dimensionality allows the adjustment of size dependent quantum effects (diameters < 10 nm) in optical and electrical processes in 1D nanostructures. This justifies the nanostructuring of metal oxides for enhancing the photocatalytic response and conversion of solar to chemical energy. 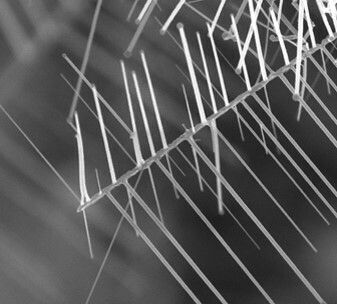 Different methods for the fabrication of 1D materials are used in the working group Mathur. On the one hand techniques in the gas phase such as chemical vapour deposition (CVD) or plasma enhanced chemical vapour deposition (PECVD) are applied. Wet chemical procedures such as hydrothermal, solvothermal or microwave assisted synthesis of 1D nanostructures are also of interest. 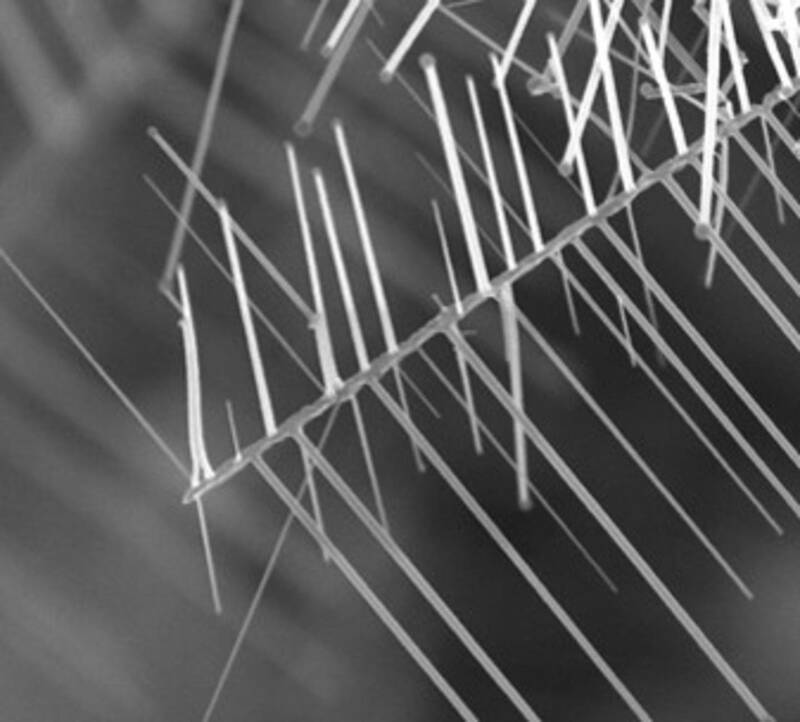 An efficient, facile and amiable process used for the production of nanofibres is electrospinning (e.g. S. Mathur, J. Phys. Chem. C, 2015, 119 (33), 18835–18842) . This method uses limited amount of chemicals, energy consumption is finite, commercially viable and attractive for industrial upscaling. You want to know who is working in this field?